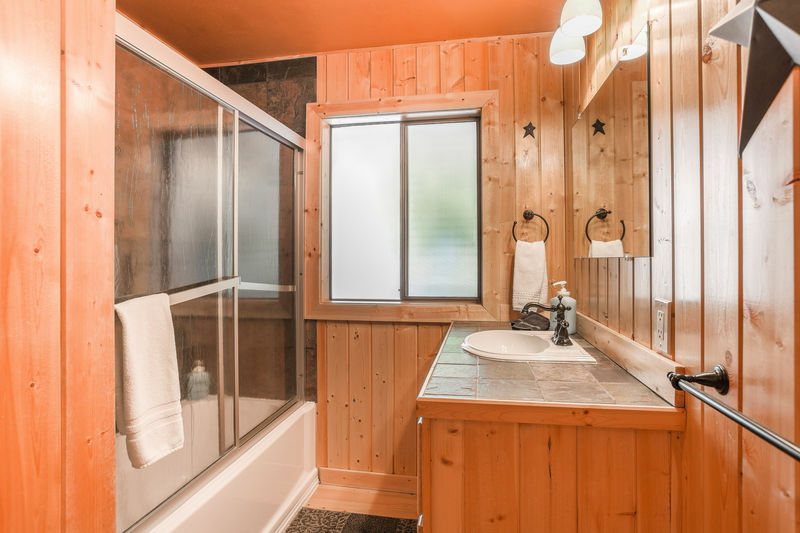 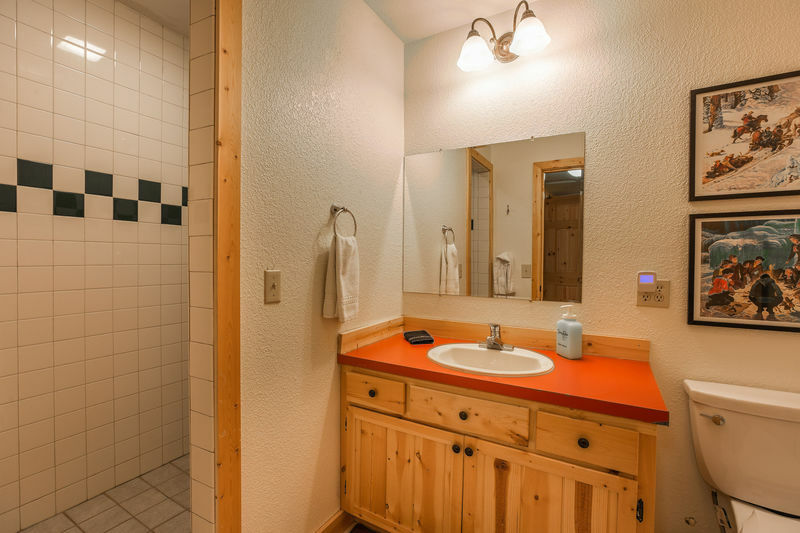 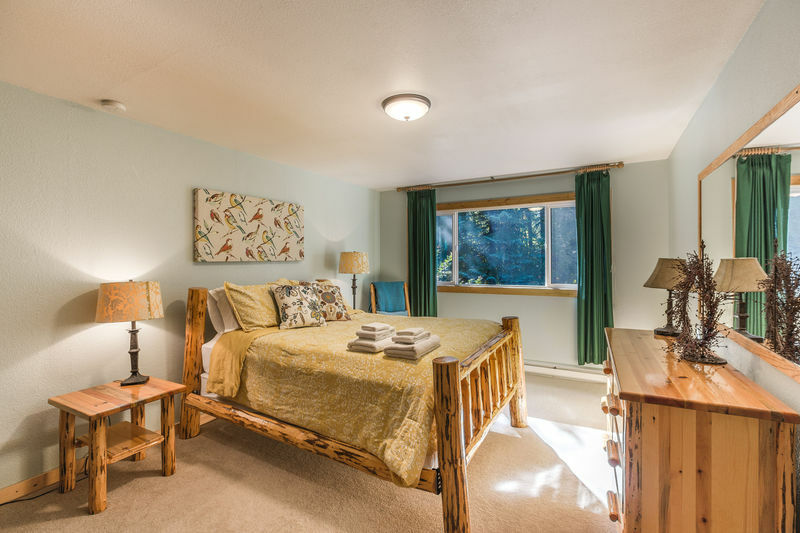 Set in the stunning Lake Wenatchee area, just minutes from the lake, river, trails, and the Kahler Glen Golf, 20 minutes from Leavenworth and 30 minutes from the Steven's Pass Ski Area,Triple Pine Lodge is a large and lovely family vacation spot that accommodates up to 16. 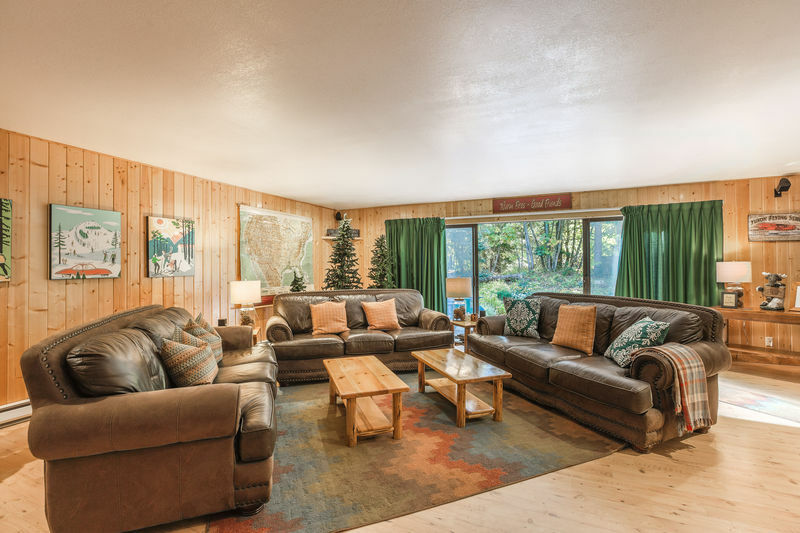 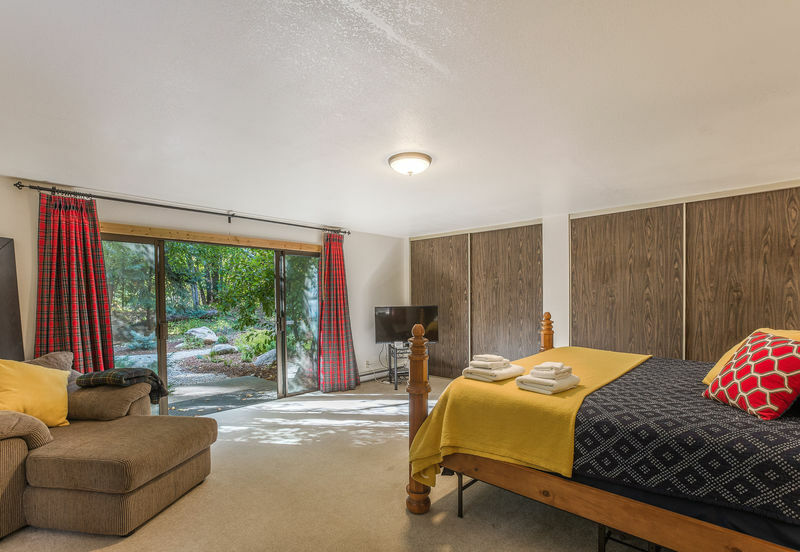 Comfortable and spacious, it's ideal for all-season family holidays, reunions, small group retreats, or multi-family vacations. 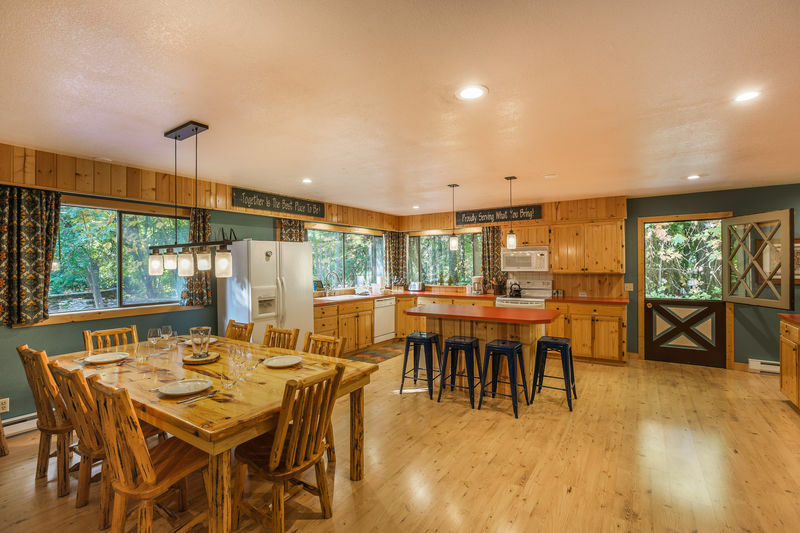 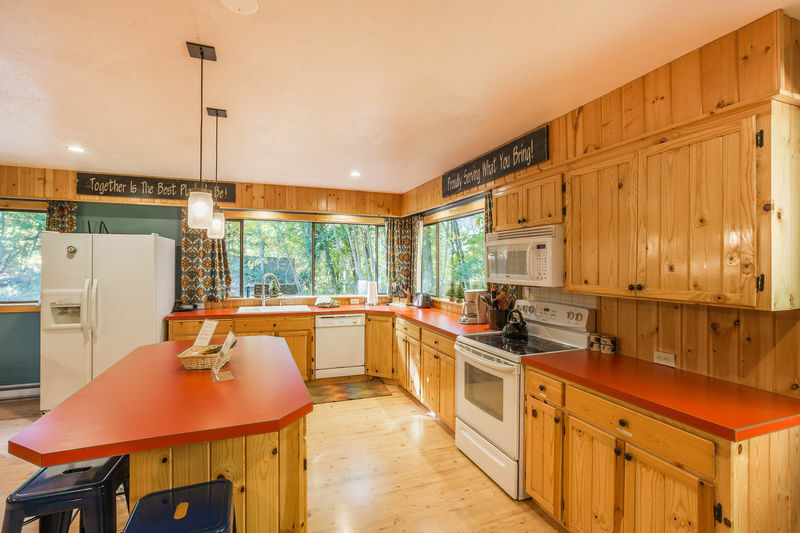 Designed and tastefully decorated to make you feel immediately at home in the woods, it offers a very large, fully equipped kitchen and dining area with a brick wood burning fireplace. 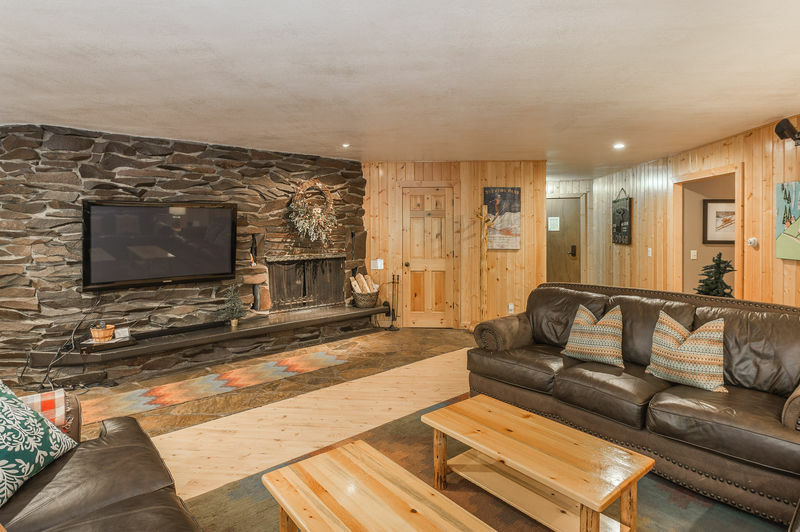 The spacious living room features an impressive stone wood burning fireplace, generous seating with a widescreen TV and surround sound home theater. 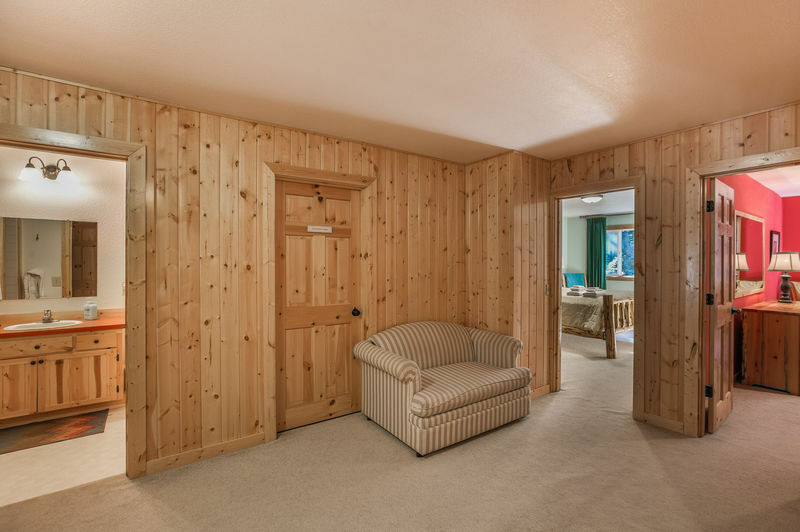 It provides a comfortable and perfect place for the family to relax together, or apart. 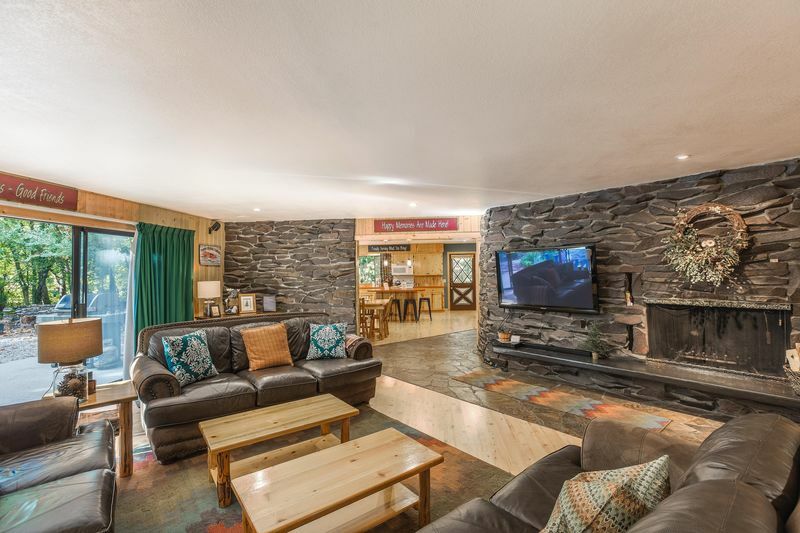 A game room features another flat screen TV to watch your favorite sports, movies or your favorite game system. 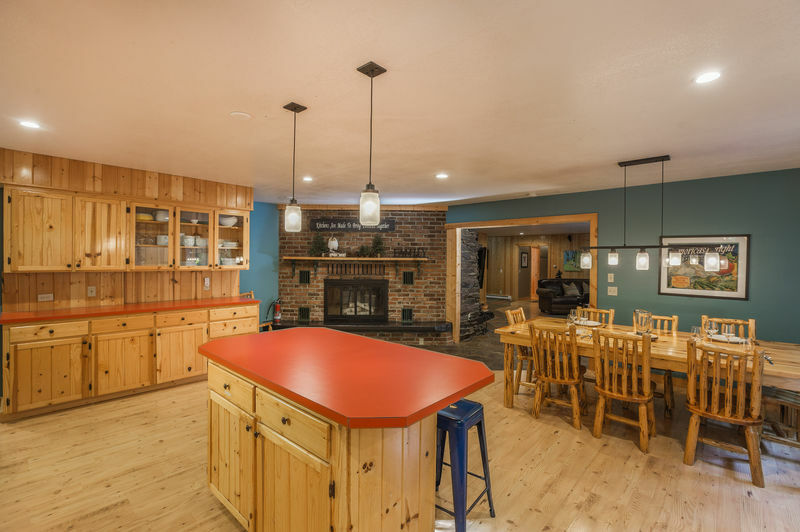 A game table, pool table, wifi and stereo ready for your iPod create a great place for the older kids. 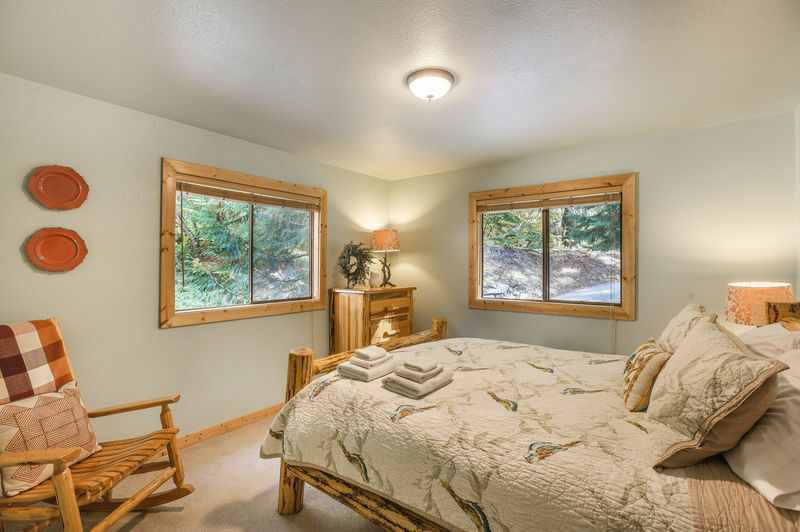 There is even a pull-out bed if they want to spend the night there! 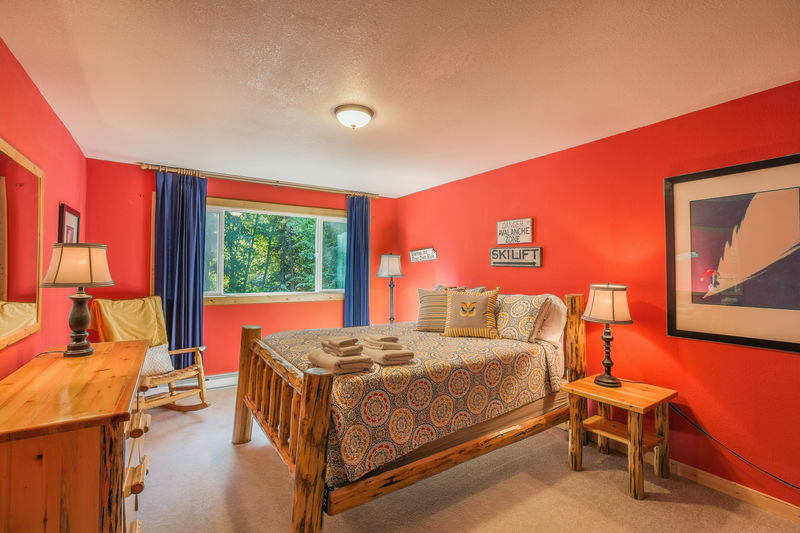 The four bedrooms, two downstairs and two upstairs, are roomy and nicely furnished. 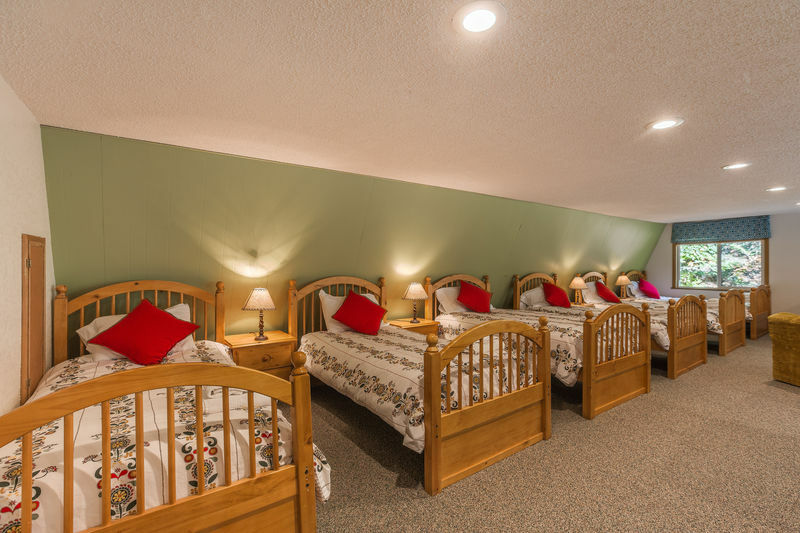 At the top of the stairs is a large bunk room and kids play area with six single beds, a game table, foosball table and another TV ready for your game system. 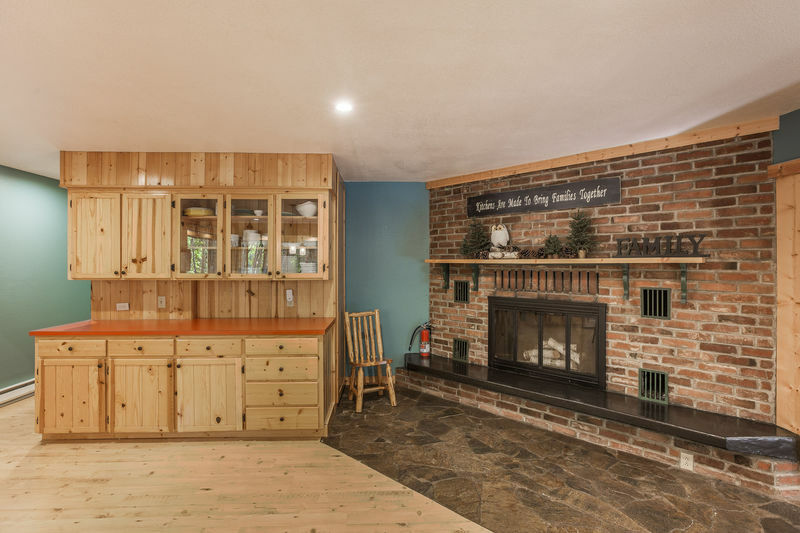 This is a perfect place for the kids to play in the day and talk long into the night during those wonderful family events. 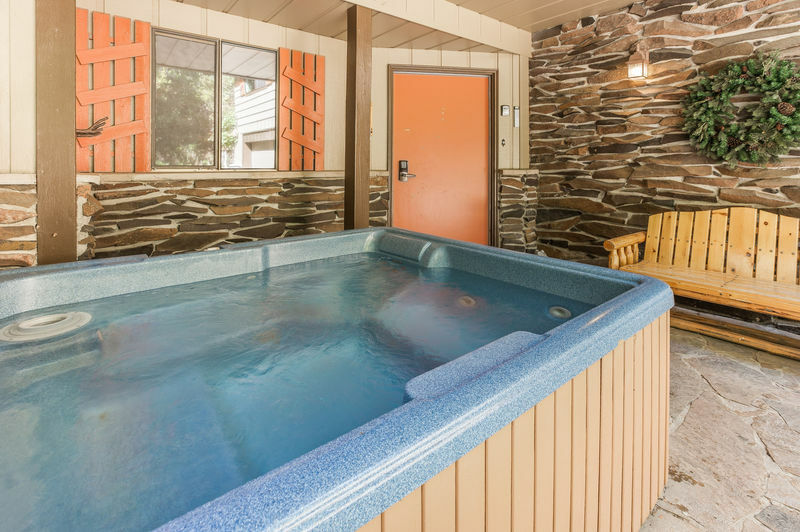 Outdoors there is a large covered hot tub that offers a perfect place to relax after a day of adventure, a Weber gas grill, and lots of pathways and nooks to explore in this beautiful wooded setting. 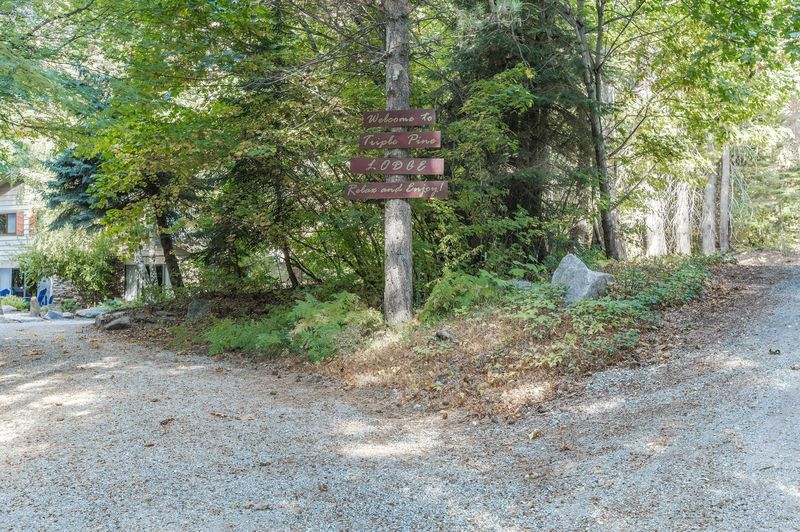 Plenty of parking for your boat, ATV and all your friends. 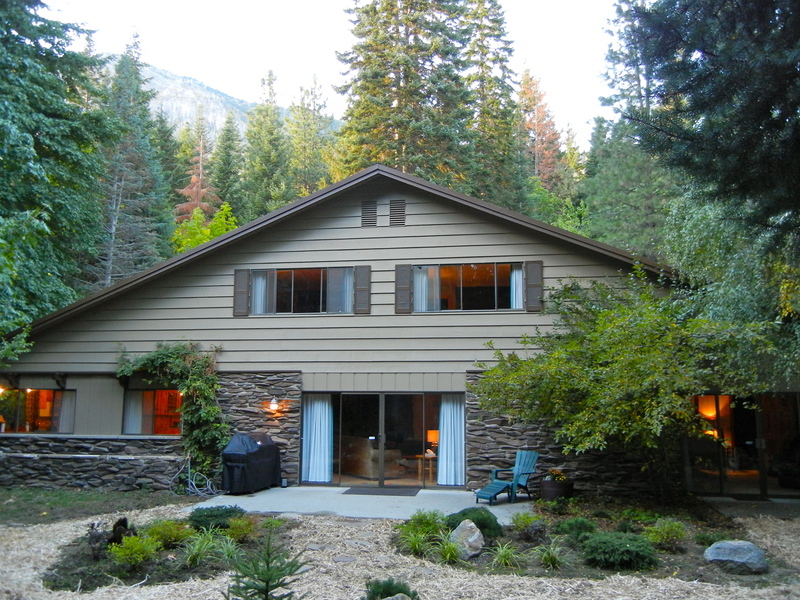 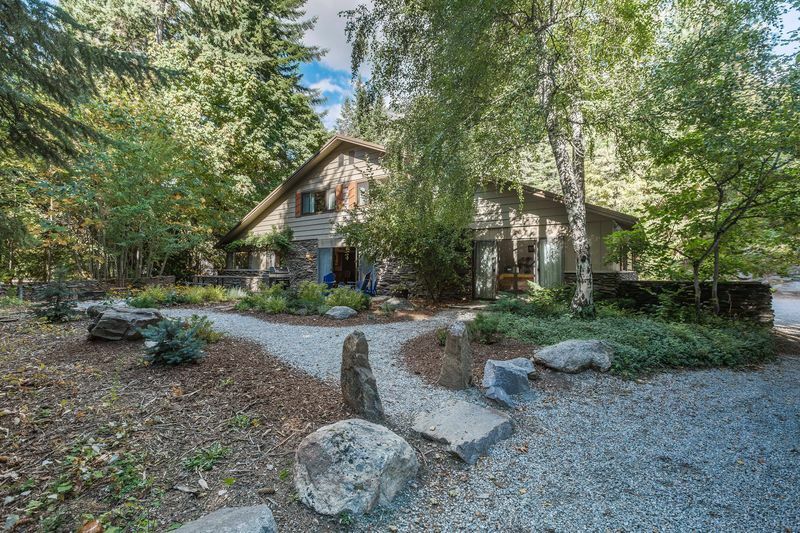 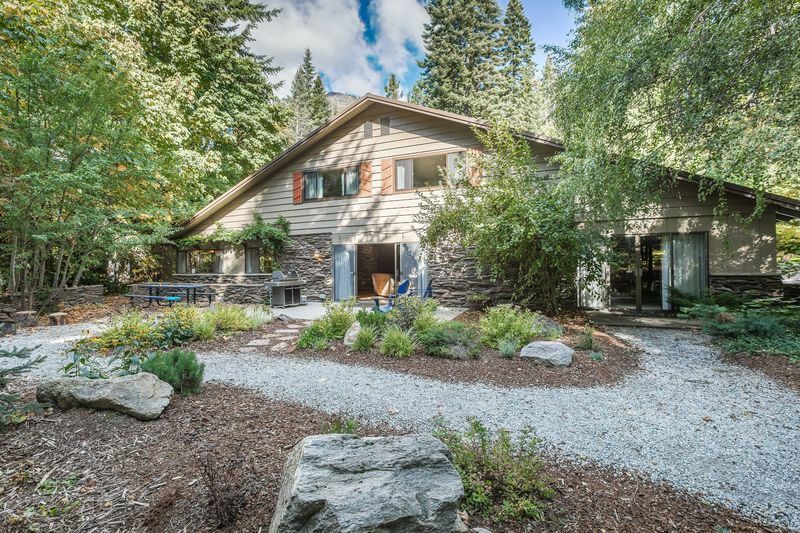 Triple Pine Lodge is an ideal place for hiking, skiing, mountain biking, golf, boating or paddling on Lake Wenatchee, kayaking and tubing down the Wenatchee River, or just escaping the crowds to relax; a great place to be in every season!